With the rising penetration of Home Loan, other products like housing loan insurance has also gained momentum. The applicant is offered with a cover that would not put the burden of the repayment of the loan after the applicant’s death. This scheme offers the family with much-required financial cover, emotional security and peace of mind. 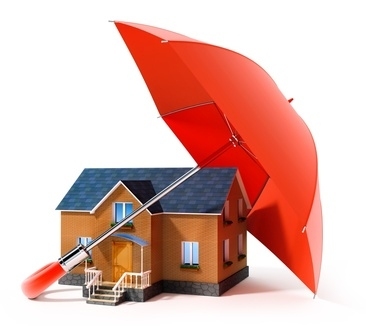 Home Loan Insurance plan is same as term insurance plan offered by various life insurance companies. But the only difference is that in term insurance coverage amount is fixed and in home loan insurance cover the coverage keeps on reducing with the decreasing liability of the loan. Here are some popular decreasing term assurance policies to cover home loan repayment, offered by life insurance companies like Aviva LifeShield Platinum, ICICI Pru Home Assure, LIC Mortgage Redemption, Aegon Religare Decreasing Term Plan, and SBI Life Smart Shield. You have two options, either to go for a single premium home loan insurance cover extended by the bank of NBFC providing the Loan or buy one of the above-mentioned policies directly. Usually, banks increase the customer’s loan amount to accommodate the premium of home loan insurance. However, there is not much difference in the premiums of both the policy options; many people take it along with the home loan by making the one-time premium payment. The premium, which you need to pay depends upon the amount of the loan, tenure, age and heath condition of the borrower. A borrower with higher age or higher loan amount implies to a higher premium, and good medical report of the borrower may help in getting lesser premium. This scheme should be considered as a tool that protects your family’s financial situation and does not jeopardise their future by placing the ownership of the house at risk.